J Balvin has been making waves this past year, usually in a pair of his iconic J Balvin Chanel sunglasses. Fans of J. Balvin have been taking notes on not only his music but especially his sunglasses style. With this in mind, what sunglasses does J. Balvin wear? Keep reading as we break down the most popular designer sunglasses we have seen J. Balvin wear. As the first Latin artist to be selected as an ambassador for New York’s Fashion Week: Men’s, J. Balvin is a true believer that sunglasses are an essential part of every man’s outfit. While most men would select for a humble pair of aviators, instead this Latin singer is constantly pushing the limit of gender fluidity in fashion. After great research, we put together a list of the Top 24 sunglasses J. Balvin wears and where you can get his look. 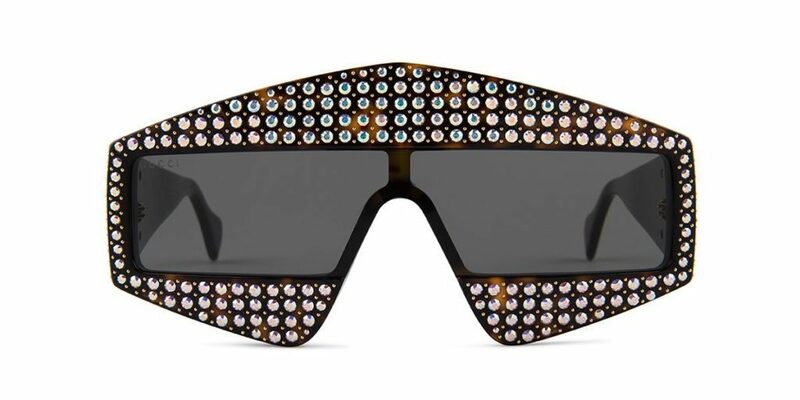 This particular pair has been trending this past summer with stars like Bad Bunny, and Elton John wearing the same pair. Thus, it’s only natural J. Balvin would jump on this stylish on-trend look. 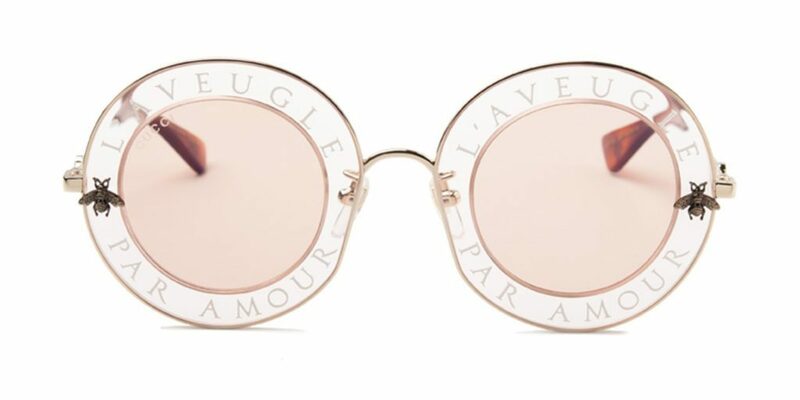 About the Gucci GG0113S round metal sunglasses: The Gucci Blind for Love sunnies feature an Orange acetate frame with the phrase “L’Aveugle Par Amour” and metal bee details. J. Balvin puts on some of the hottest concerts and each time he does it he’s seen in the most fashionable and on-trend sunnies. About the Gucci GG0363S Flip-Up sunglasses: These designer frames feature metal square-frame with a rimless flip-up detail. The Gucci’s rectangular GG0363S sunglasses are crafted of polished goldtone metal and styled with light pink acetate temple tips. Made in Italy, this chic pair features green rimless flip-up sunglasses that offer 100% UVA and UVB protection. Logo at temples. Rectangular shape. Light pink acetate nose pads. Filigree at temples and bridge. The tiny round sunnies have been a trend-setting look this past year so its no surprise J. Balvin would be wearing a pair. We found a similar style by Illesteva. About the Illesteva Nicotera sunglasses: The Nicotera, named after the southern città, is our version of the 1953 film reimagined with Audrey Hepburn donning glasses. Its vintage shape forming an ellipse, holding by decorative lightweight stainless steel frame is perfect for a ride in the sun or an afternoon by the water. Best for heart and square shaped faces. Being that these Prada cat-eye sunnies embody the essence of cool, it’s no surprise J. Balvin would be wearing them. About the Prada SPR63U sunglasses: Featured in the SS18 runway show and with tons of celebrities wearing them. 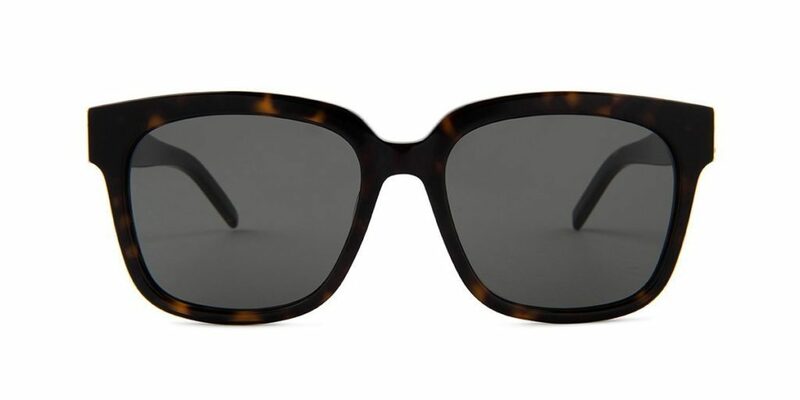 These Prada SPR63U cat-eye frame sunglasses feature a contemporary design with a 90’s vibe. The cat-eye frame front with slender metal profiles and distinctive doube bridge. The oversized shield sunglasses trend has taken the fashion by storm. For instance, these sunglasses not only shield you from the sun but are a J. Balvin approved style statement. 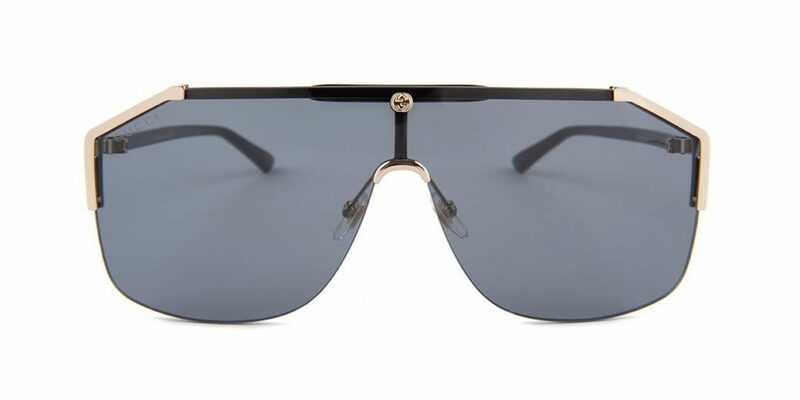 About the Gucci GG0291S sunglasses: Showcasing gold mirrored shield-like lenses, Gucci’s rimless GG0291S shield sunglasses are designed with a geometric aviator shape. Now a hallmark of the Italian house, the Sylvie stripe, featured at the temples on this pair, is named after the bag that it first appeared on. J. Balvin is taking the world by storm, not only through the radio but also through our TVs. This past year J. Balvin teamed up with Google Pixel 3 and YouTube Music for a new Spanish-language ad campaign, which was developed to celebrate Latin artists and their impact on global culture. As the first Latin artists to be featured, Balvin did not disappoint styled in a pair of Dior Homme sunglasses. About the Dior Homme DiorInclusion sunglasses: With their graphic shape and slender construction, the “DiorInclusion” sunglasses epitomise the spirit of the Winter 2018 show. The silver-tone metal frame is ultra-thin and the double bridge is fixed onto the lenses. Openwork temples show the emblematic Dior Homme cut. The grey lenses ensure 100% UV protection. J. Balvin loves his blinged out Gucci sunglasses. Notably these sunnies, have been seen on many mainstream celebrities like Bad Bunny, and Nicki Minaj. About the Gucci’s GG0357S sunglasses: made in Italy of shiny tortoiseshell acetate hand-applied with sparkly iridescent crystals. 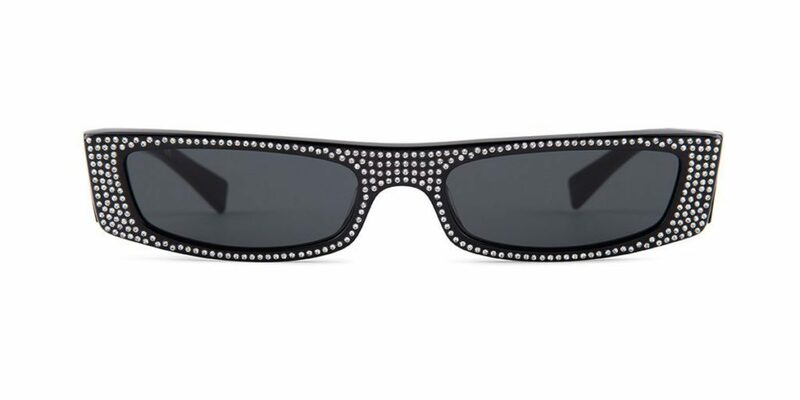 Part of the Hollywood Forever Collection, this bejeweled pair is designed with a shield-like rectangular frame for a futuristic look. ME GUSTA COMO TÚ CAMA SUENA !!! Mi cama REMIX @nickyjampr @karolg ya afuera @youtube !!! Different from the typical J Balvin Chanel sunglasses, the Dior Club1 Visor “I Adior” was supported by Balvin in the “Mi Cama” music video with Karol G featuring Nicky Jam. This DiorClub1 visor became a hot summer accessory and has been seen on celebrities like Kim Kardashian, and Bad Bunny. About the Dior Club1 Visor: As seen on the SS2018 runway. 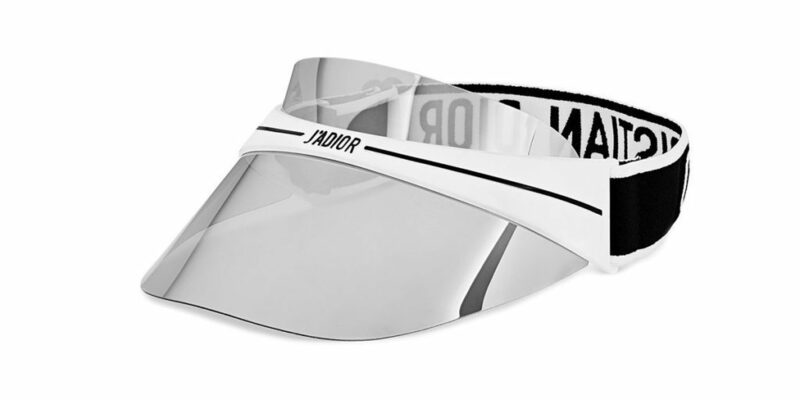 The Dior Visor features a black and white frame adorned with the “J’adior” signature, while the shiny silver, transparent visor recalls the colorful world of the collection. The elastic, woven with the inscription “Christian Dior”, is adjustable, guaranteeing comfortable wear. As seen in the official music video “No Es Justo” by J. Balvin, Zion & Lennox. Balvin is wearing the Alain Mikli sunglasses below. About the Alain Mikli Edwidge Jeweled sunglasses: A unique collection of eyewear by two quintessential Parisian brands: get inspired by these fierce, feminine shades embellished with tiny, round Swarovski crystals. 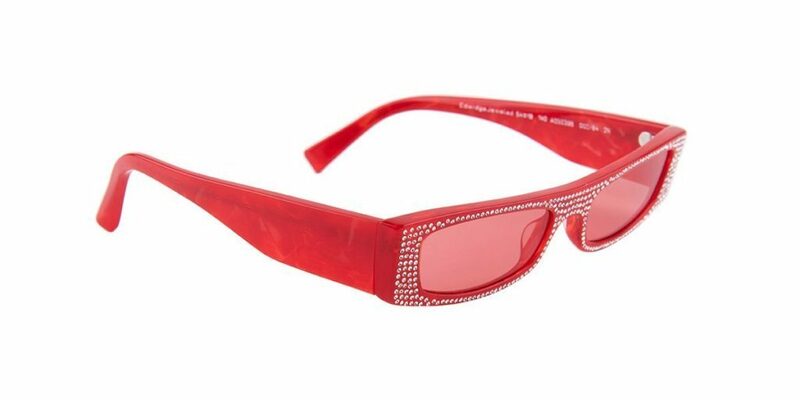 J. Balvin obviously is a big fan of the Alain Mikli Edwidge Jeweled sunglasses, in fact, he has the same pair in red! To tell the truth, nothing says A-lister better than Versace. 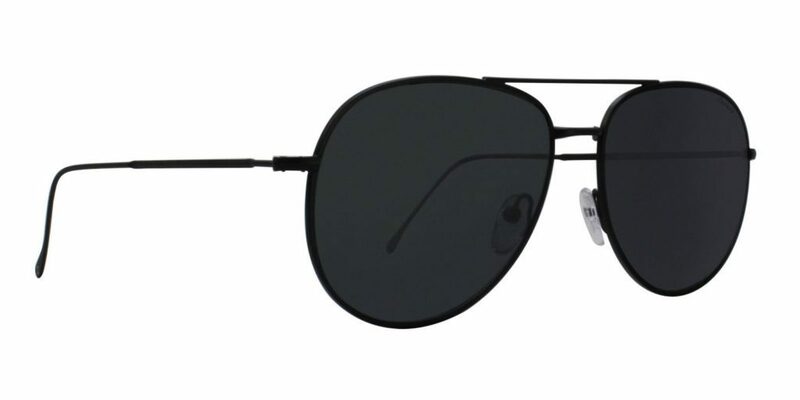 About the Versace VE4333 Shied Sunglasses: These sunnies feature a plastic full rim frame for Men. This Large size frame features a Round shape. 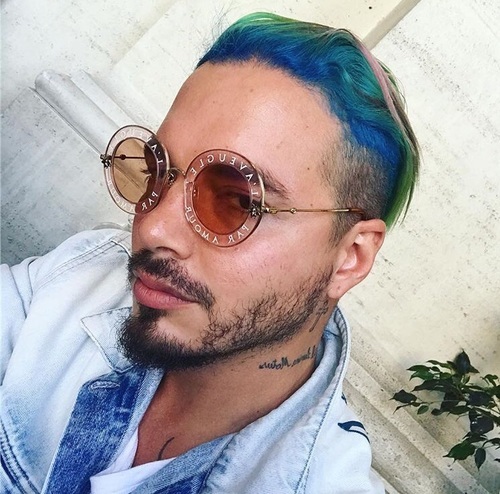 Just by scrolling through J. Balvin Instagram you can see he is a big fan of designer sunglasses and has his unique style in many different styles of oversized oval sunnies like these Alain Mikli sunglasses. 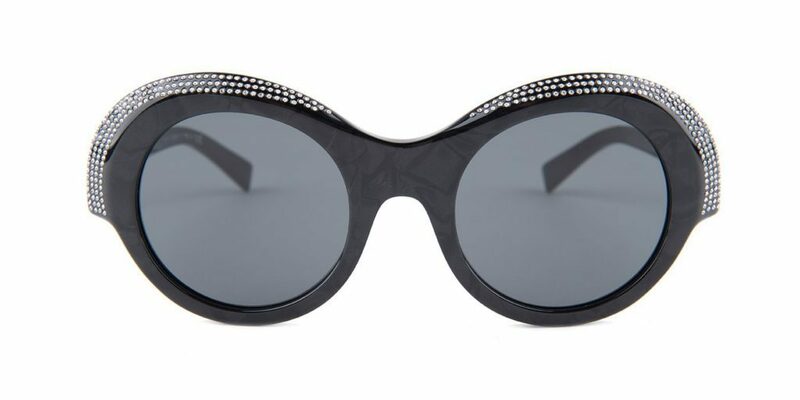 About the Alain Mikli Roselyne Sunglasses: Handmade in Italy, Alain Mikli x Alexandre Vauthier’s oversized Roselyne round sunglasses are constructed of black marbled acetate embellished with tiny round Swarovski crystals. Bold and ultra-feminine, this sparkling pair draws inspiration from glamorous frames discovered in Alain Mikli’s archive. Notably, J. Balvin is a fashion trend-setter in many forms. 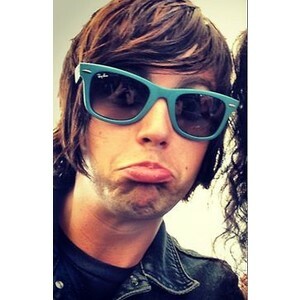 However, from time to time he does it keep his look classic by wearing a pair of black aviators. We found a similar pair of J. Balvin inspired aviators by Illesteva. Transparent sunnies have been a hot look this past summer. Celebs like Justin Beiber, Gigi Hadid, and Kendall Jennerhave been seen rocking this 90’s inspired look. J. Balvin has been seen in a few different colors of the rimless frame. 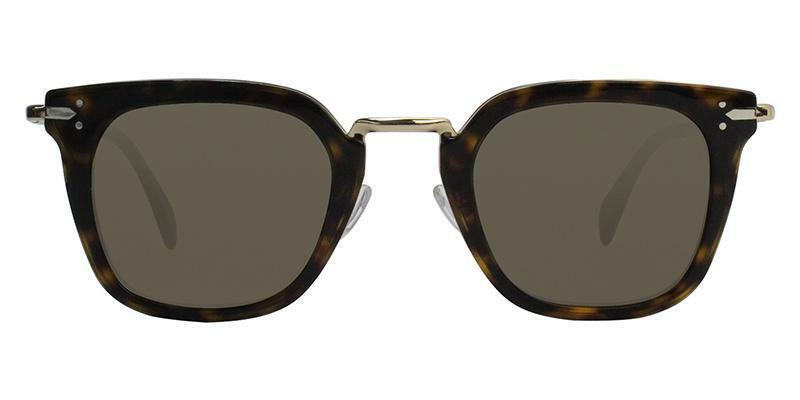 We found a similar pair by Oliver Peoples Daveigh. 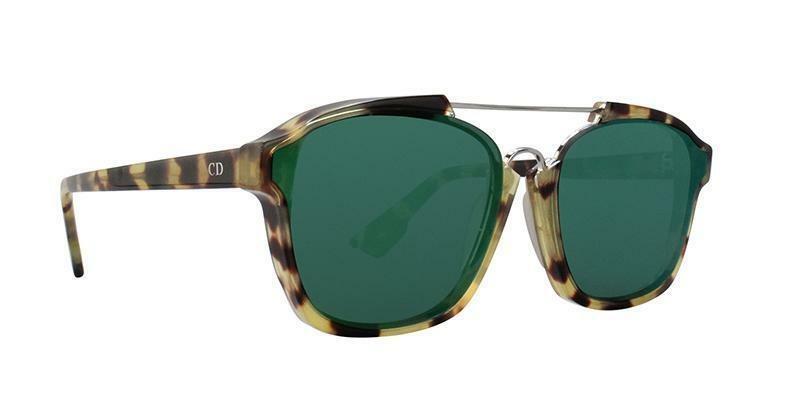 About Oliver Peoples Daveigh Sunglasses: The Daveigh is a rimless sunglass style with a super shallow lens shape inspired by edgy 90s fashion. 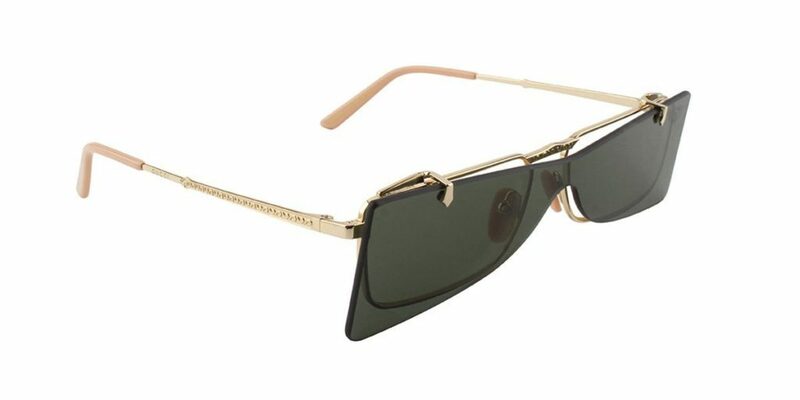 The design features ultra-thin metal temples and hand-engraved feathered filigree. 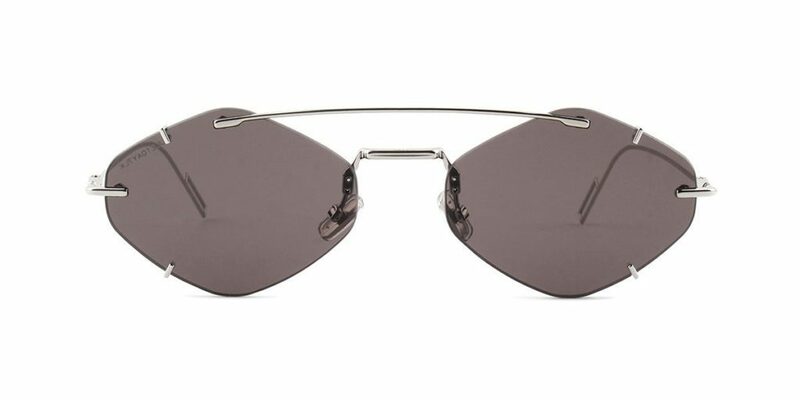 These rimless rectangular sunglasses are handcrafted from custom shades of metal finishes. The CR-39 lenses offer lightweight comfort with superior optical clarity. Featuring 100% UVA/UVB protection. The three-barrel hinge provides durability to the structure of the frame. Each pair of Daveigh sunglasses have a vintage-inspired custom engraved filigree design. J. Balvin loves wearing designer sunglasses in his music videos. In the official music video “Si Tu Novio Te Deja Sola” ft. Bad Bunny, Balvin is seen rocking a pair of Dior Homme 0204S Silver sunglasses. 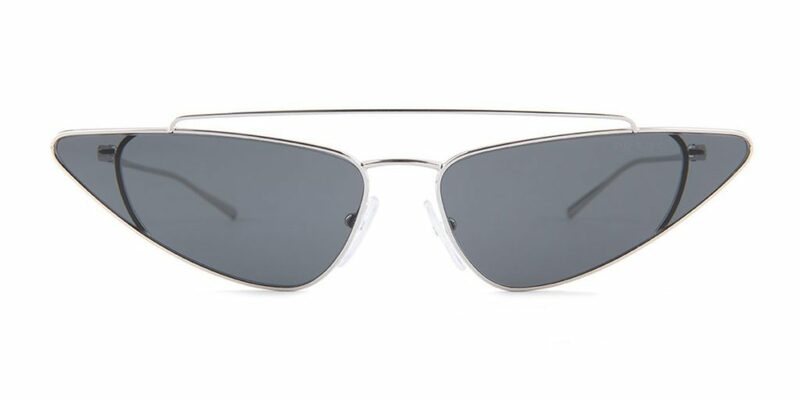 About the Dior Homme 0204S Sunglasses: This hot sunnies features a futuristic deconstructed eyewear frame which is palladium and has a lens which is black mirrored. 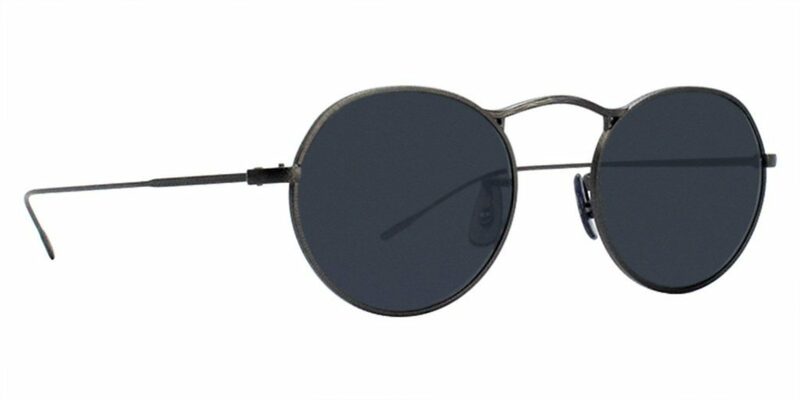 The frame is metal featuring modified oval lenses. 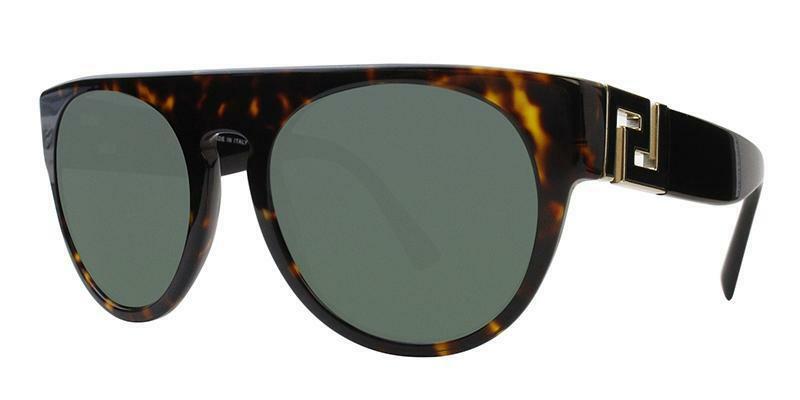 About the Oliver Peoples M-4 30th Sunglasses: A vintage-inspired design, the M-4 was one of the first styles introduced circa 1987. However, this version features a hand engraved feather pattern specifically designed for the 30th-anniversary collection. These sunglasses include hand-engraved feather filigree design as a special 30th-anniversary detail. About the Saint Laurent Oversized Betty Sunnies: These designer frames feature bold geometric lines that define statement-scale sunglasses. Crafted in acetate and styled with a flat top along the bridge with smoky lenses that provide full UV protection. There is nothing basic about these designer frames. Above all, if you want to go bold, these squared-off Italian sunglasses with a visor-inspired silhouette make a daring statement. This on-trend style has been seen on a lot of the Kardashian clan. About the Oliver Peoples Parquet Sunglasses: inspired by past Oliver Peoples styling, this feminine design is redefined in a modern way with deep acetates and vividly colored lenses. The ultra-feminine lens shape reflects a sense of timeless elegance. The mesh detail near the hinge is definitely a Thom Browne signature. The Thom Browne’s J. Balvin in wearing in the Instagram post above was discontinued. We have a similar pair with a square shape available below. 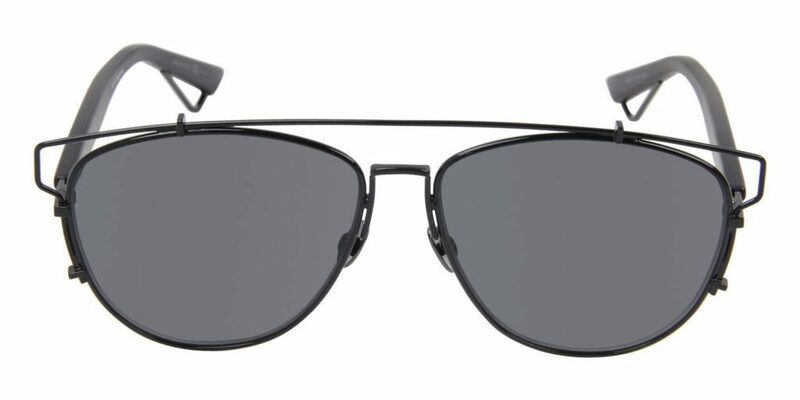 About the Thom Browne TB-808 Sunglasses: These sunglasses feature a full rim, square-shaped titanium frame with an on-trend bridge and brow bar as well as custom Japanese acetate lens rims. 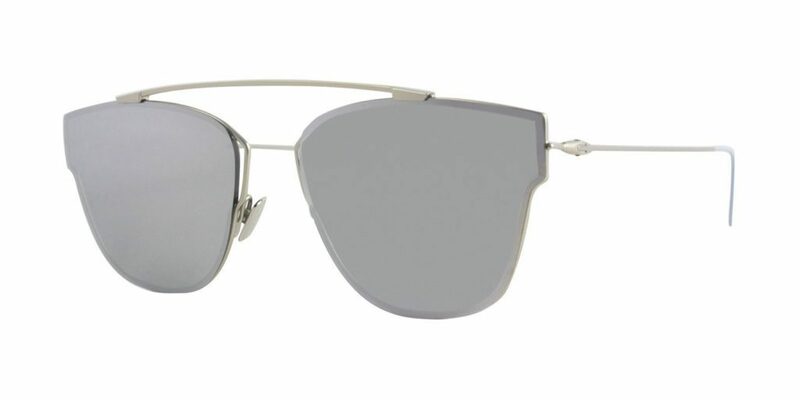 These Thom Browne TB-808 sunglasses have been fitted with hinged metal mesh shields on the inner sides of the frame. Constructed with custom-made titanium nose pads containing the Thom Browne signature three-stripe detail and the slim titanium temples contain the iconic tri-colored five-piece temple tips. Designed for men and women, these sunglasses are available in a variety of colors with special lenses that offer UVA, UVB, and CR39 protection. 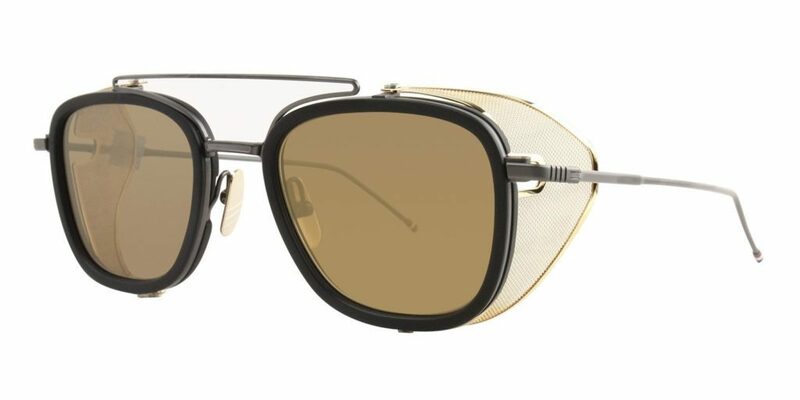 Even if you aren’t feeling the mesh but crazy over the oval shape, we found another pair of Thom Browne sunglasses that match the same shape below. About the Dior Technologic Sunglasses: Featured in the Christian Dior SS2015 runway show. The classic aviator gets a modern update via flat 0 base lenses, cutout wire brow detail, and thin temples with cutout metal detail at the earpiece. 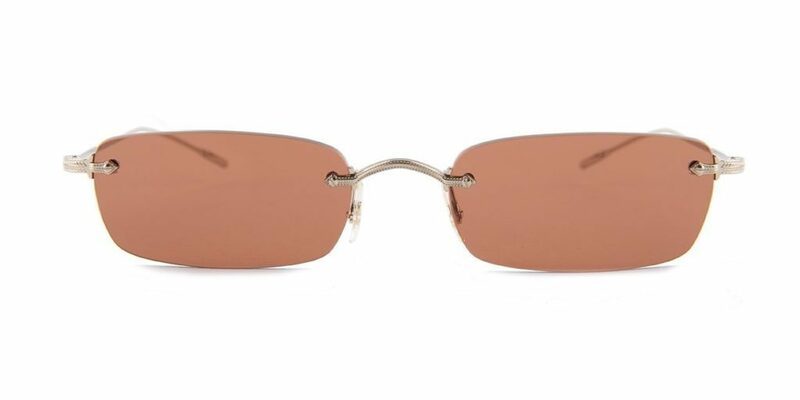 These Dior technologic frames are polished palladium-tone metal and styled with flat lenses. Gracias DIOS por demostrarme Que quieres lo MEJOR para nosotros . LO SUEÑOS NO TIENEN LÍMITE por/ by @adoarias Thank you LORD For showing what's best for us. DREAMS HAS NO LIMITS. About the Dior Abstract sunglasses: Featured in Raf Simon’s Fall 2015 runway show for Christian Dior. Geometric rectangular shape with thin metal double bridge detail. About the Celine CL41402 Sunglasses: These designer Celine sunglasses feature a dark Havana plastic frame with soft brown lenses. Crafted to perfection, these sunnies are detailed with micro-studs on the end. Accents of gold hardware are seen on the temple and on the bridge over the nose. 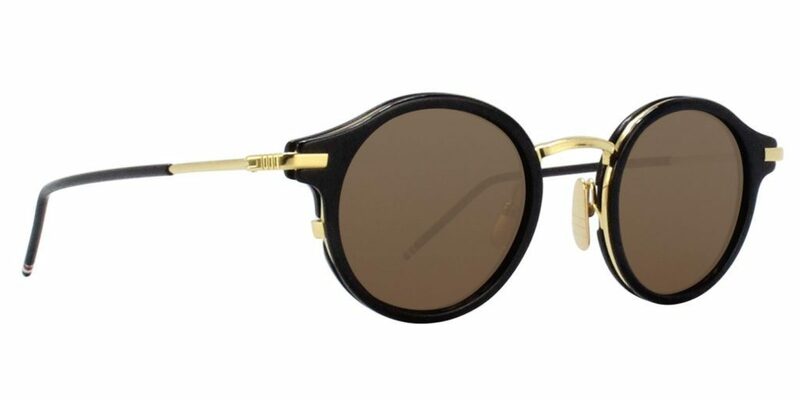 These are stylish sunglasses for everyday outings from Celine! About the Saint Laurent SLM40 Sunglasses: These square frame sunglasses from Saint Laurent Eyewear feature square frames, tinted lenses, a logo at the temple and straight arms with curved tips. One of J. Balvin’s most popular looks is Chanel sunglasses. Keep scrolling to see all of his stylish Chanel looks. 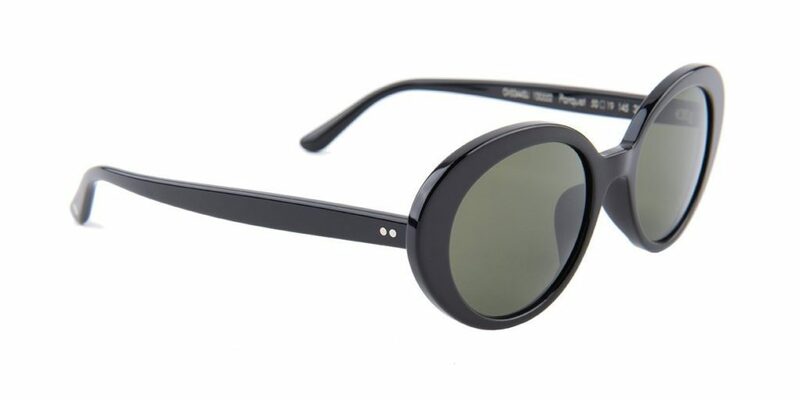 These Chanel “Chanel Paris” logo frame sunglasses came out in the 90’s and are extremely rare. 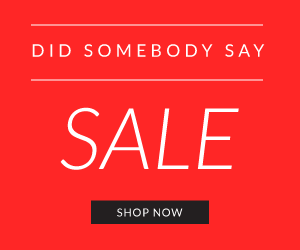 Being that, you can’t purchase Chanel Sunglasses online, with this in mind, you can visit DesignerEyes.com to see which store near you carries Chanel eyewear. 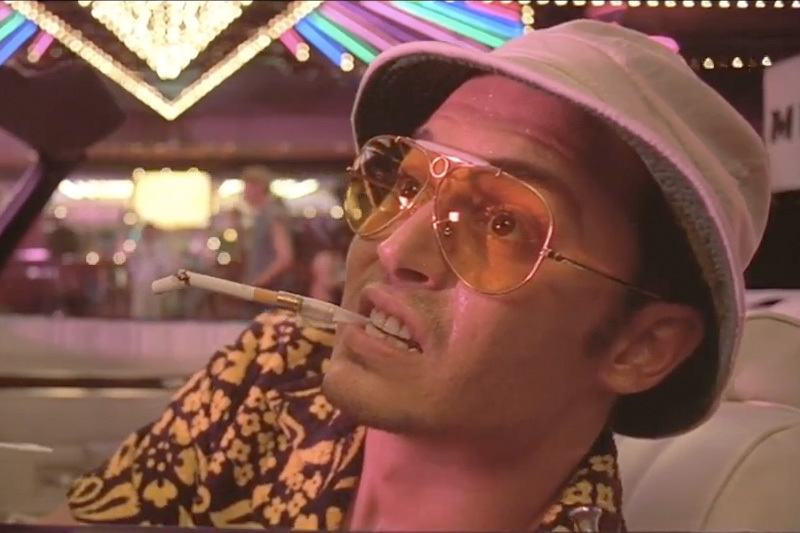 What Sunglasses is Johnny Depp Wearing in Fear & Loathing in Las Vegas?